It’s not every day I get to read a profile of someone I adore. 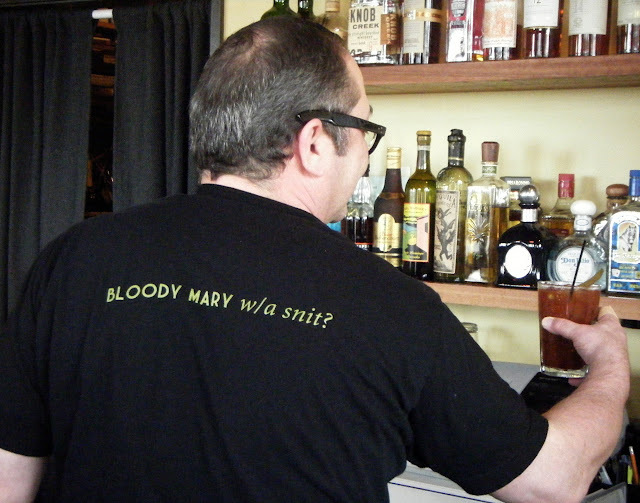 But I just got wind of Food Republic’s big nod to my favorite bartender, Robbie McGrath — seen lifting one below at Matt’s in the Market, where, as I’ve mentioned before, he makes a mean Bloody Mary. Do read it. You’ll learn why I’m not the only one who thinks Robbie’s God’s gift to daytime imbibers.